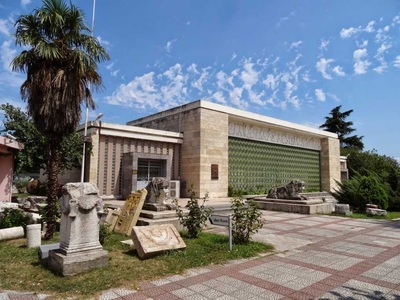 Located at the center of the city, near to the governorship, Samsun Archaeology and Ethnographic Museum was found in a fair area. It was built in 1976 and completed 1981.Within this glorious museum, there are exhibited numerous pieces belonging to the Bronze Age, Hittite, Hellenistic, Rome, Seljuk and Ottoman Periods such as sarcophagus, stelas, loamy stones, various architectural masterpieces and embossments. 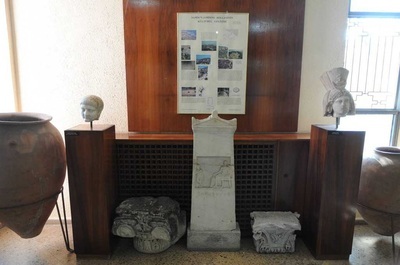 Additionally, the valuable museum is divided into two as archaeology and ethnographic parts; while in archaeology section, there are displayed the works dating back from chalcolithic period to Rome Era, the ethnographic section includes traditional Turkish costumes like bindallı, pesgir and coins, clock bags, manuscript Korans, knickknacks, guns, kitchen utensils, rugs and carpets. 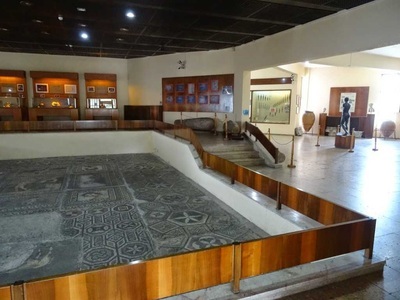 On the other hand, that miraculous museum consists of two saloons (halls).In the middle of the hall, it is located a special mosaic belonging to the Rome Emperor Alexander Severus (B.C 222-235) Period. This original mosaic contains different mythological figures, famous Trojan War scene with heroes of Achilles and Thetis, the portraits symbolizing the seasons, geometrical and botanical motives. 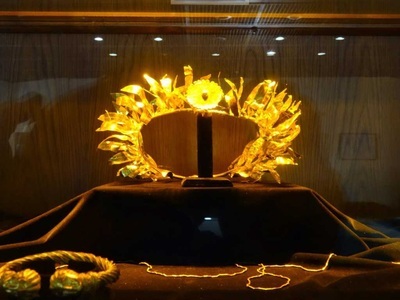 Except for these features, one of the most remarkable and enchanting pieces in Samsun Archaeology and Ethnographic Museum is Amisos Treasure placed in a tomb room. 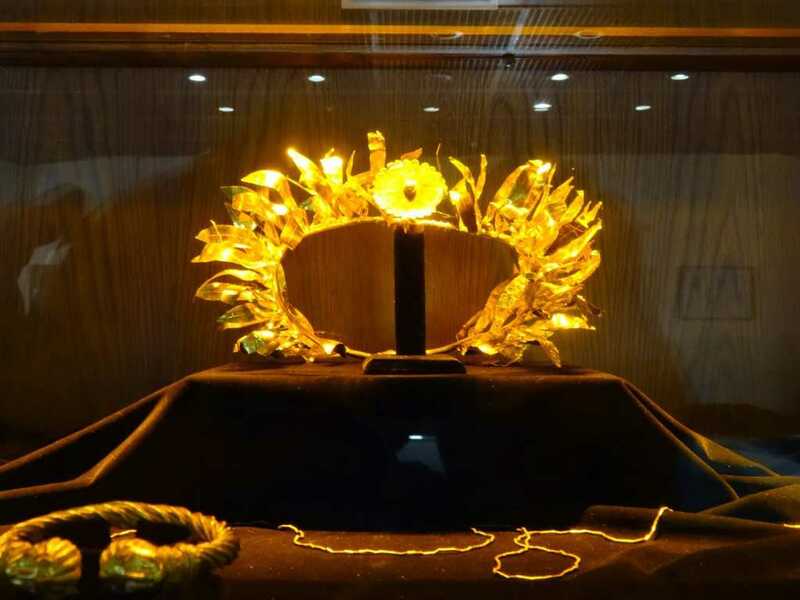 It includes very unique and priceless materials like a crown, gold, silver, bronze bracelets, necklaces, neckbands and rings which reflect ancient times. Today, the multicultural museum is open to the visitor. When you step into here, the dreamy and magical atmosphere grabs you and those amazing materials, works and pieces leave you breathless. 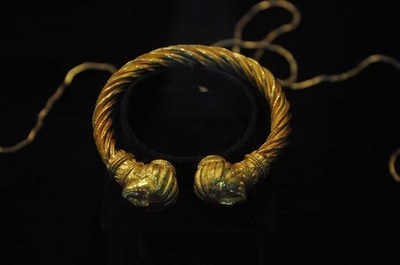 The wonderful museum has also splendid parts enchanting the people; First of all them is Chalcolithic Period and Early Bronze Age. Handmade terra-cotta pots, pins and sling shots made of bone, stone axes and obsidian arrow heads are exhibited in the section of’’ Chalcolithic Period’’. The little earthenware bowls uncovered in Ikiztepe Tumulus, big splay cubs, globe and deep bowls, bells, bone axes and tools, a comb made from the bone and bronze equipment,4 bronze goodness and 3 terra-cotta bull figurines, stone axes, mace heads, bronze dagger, stone seal and cutleries are displayed on the part of Early Bronze Age. This section consists of a single handled pots, cubs, bowls, and noggins, funnel shaped goblets, seals, a musical instrument, 2 cult figures or idols and bracelets reflecting Hittite Period. 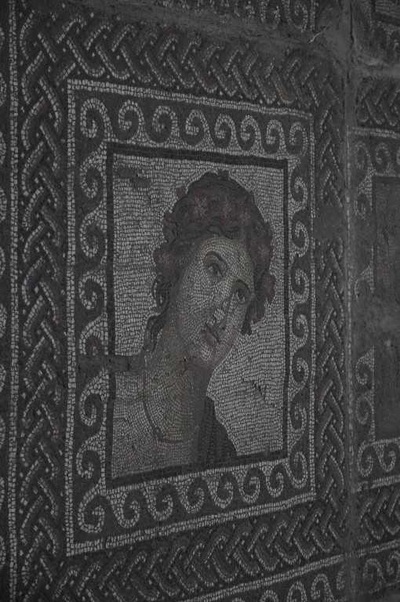 This part of the museum is very rich because various pieces belonging to the Rome and Hellenistic Period are exhibited here. It includes the single handled jugs, unguentariums (a kind of special box), a cube with cover, embossed oil lamb, Aphrodite, Eros, Dionysus statues who are the mythological figures, vials, glasses, bracelets made of glass and a special mirror, the portrait of Rome Emperor Augustus, sarcophaguses or tombs belonging to the Hellenistic Era, coins and mosaics.